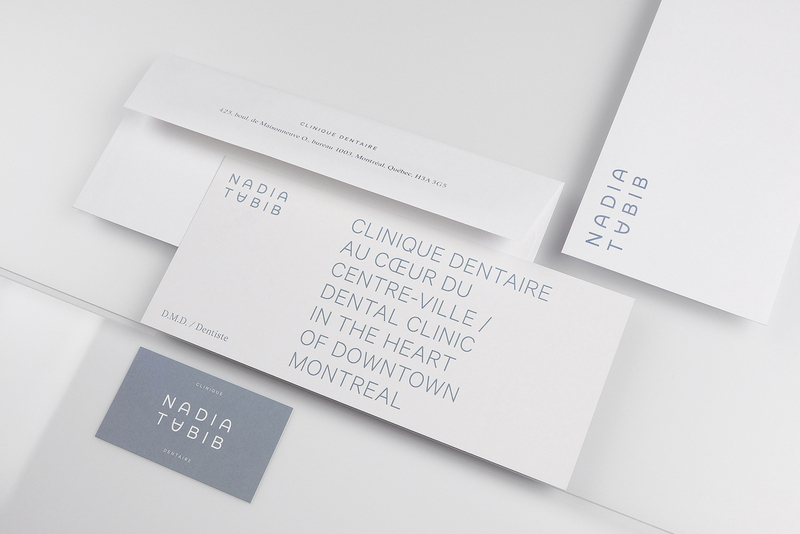 With more than 30 years of experience, Dre Nadia Tabib runs one of the most technologically advanced dental clinics in the Montreal area. 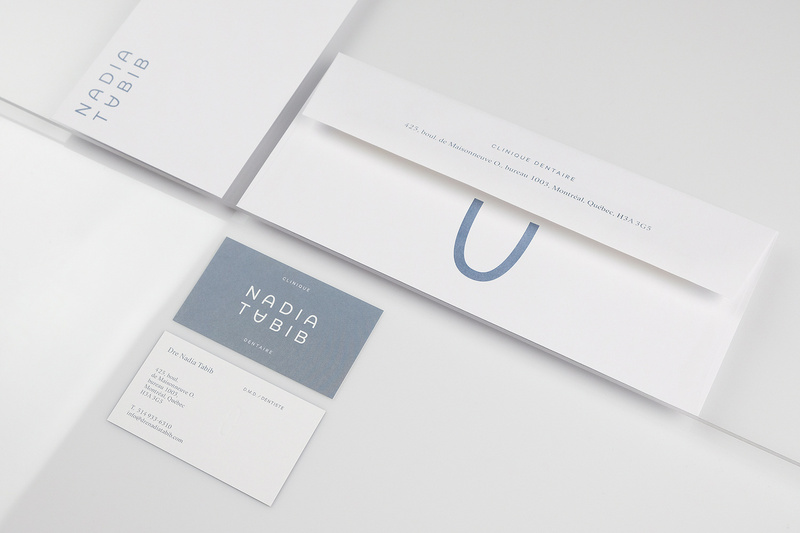 After being active in the field for so long, she felt the need to spruce things up and give a new look to her practice. 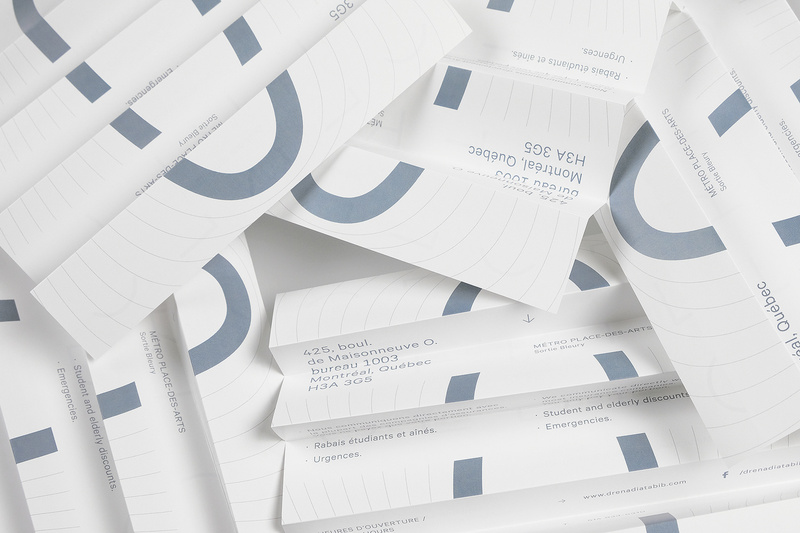 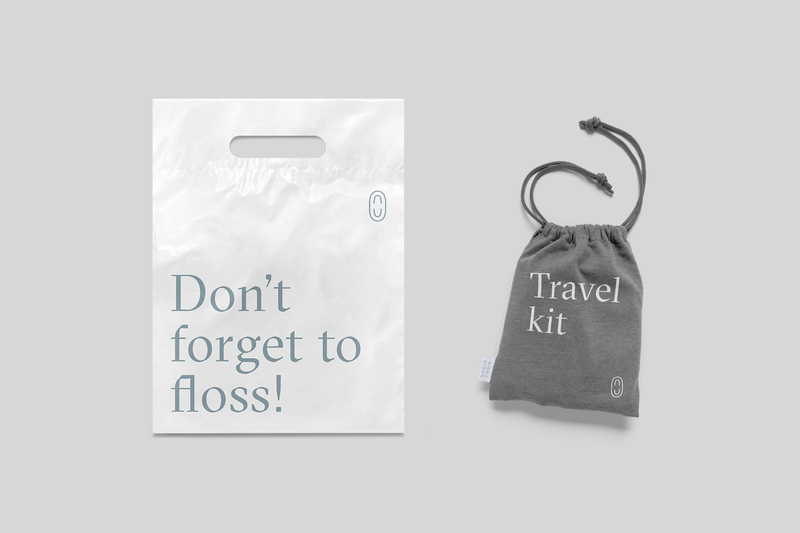 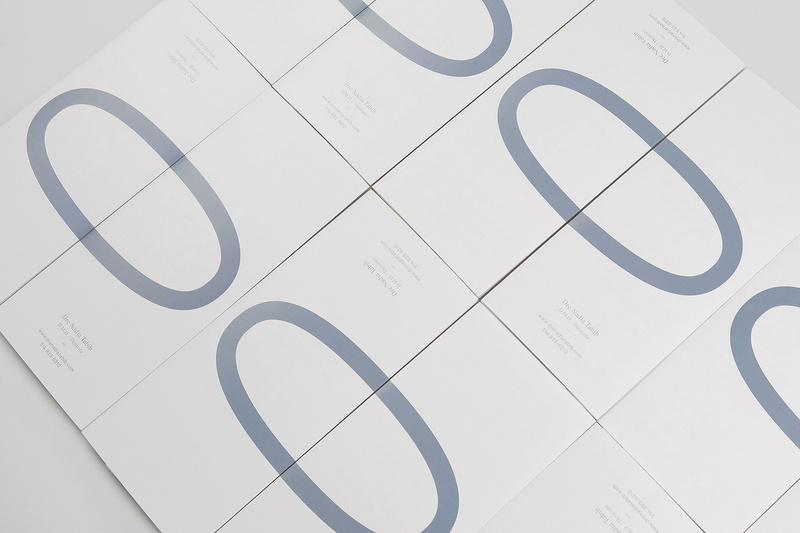 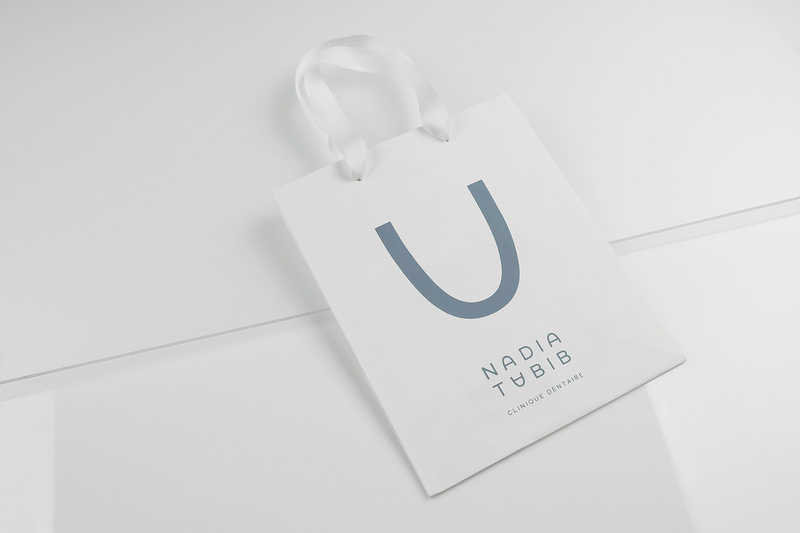 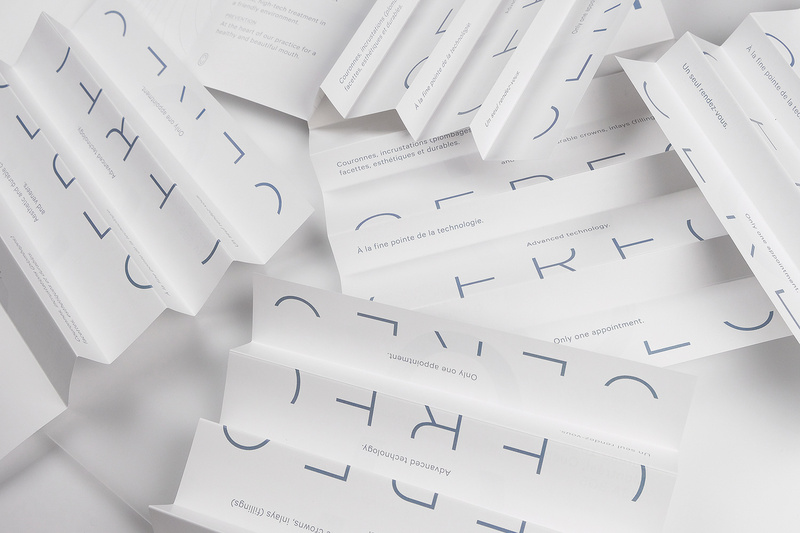 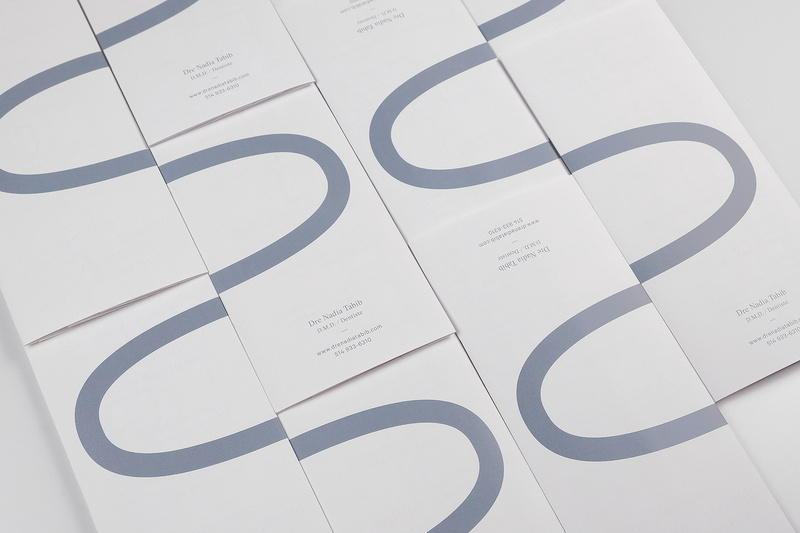 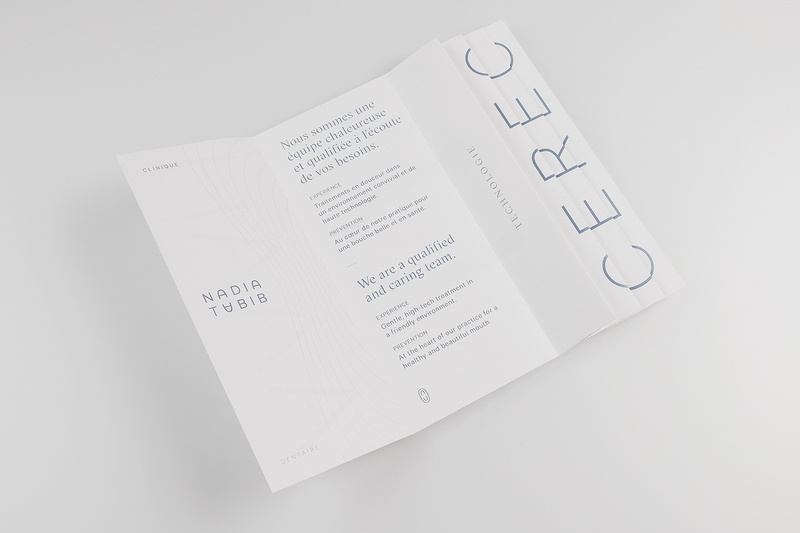 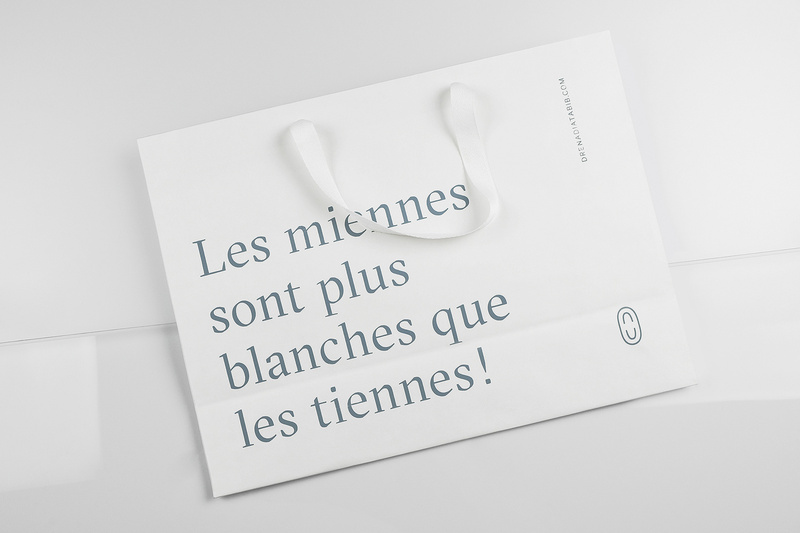 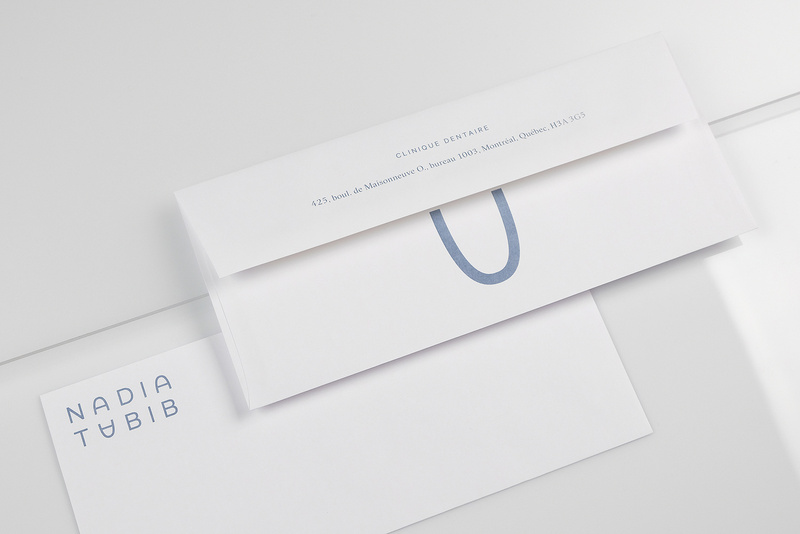 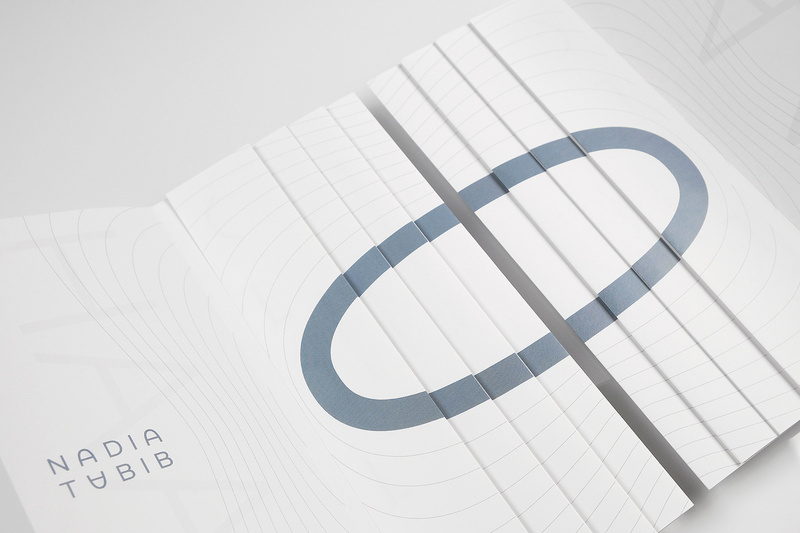 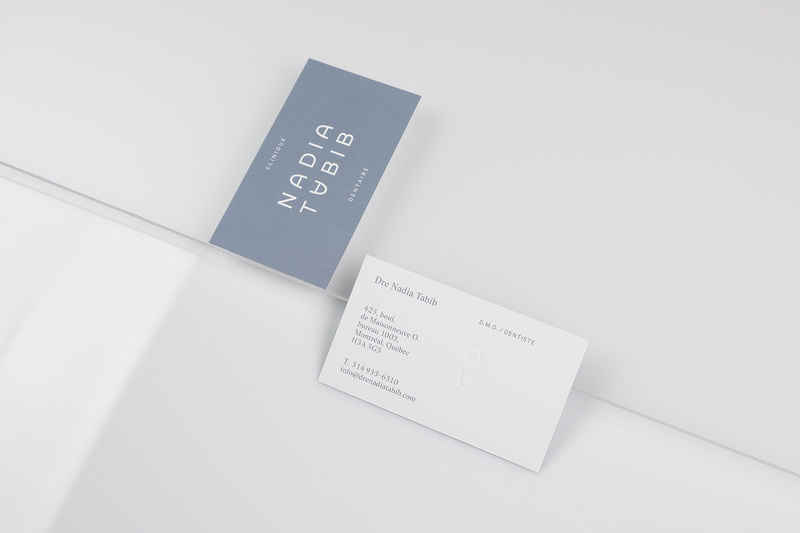 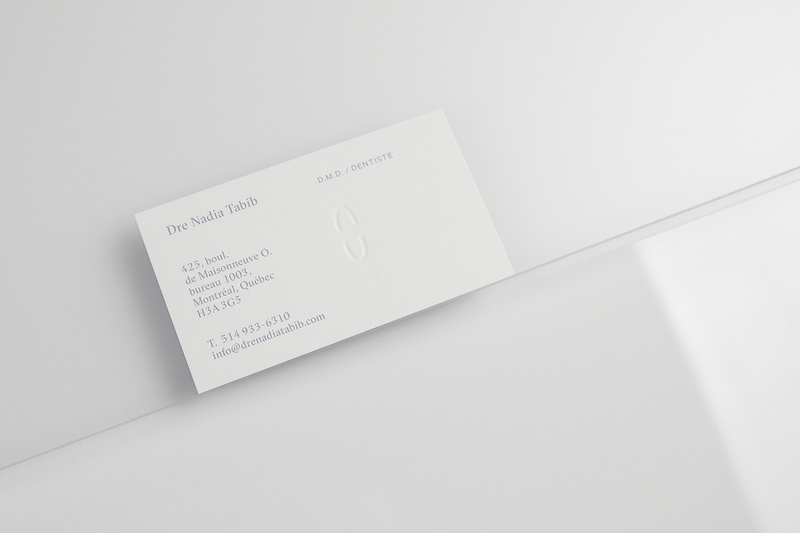 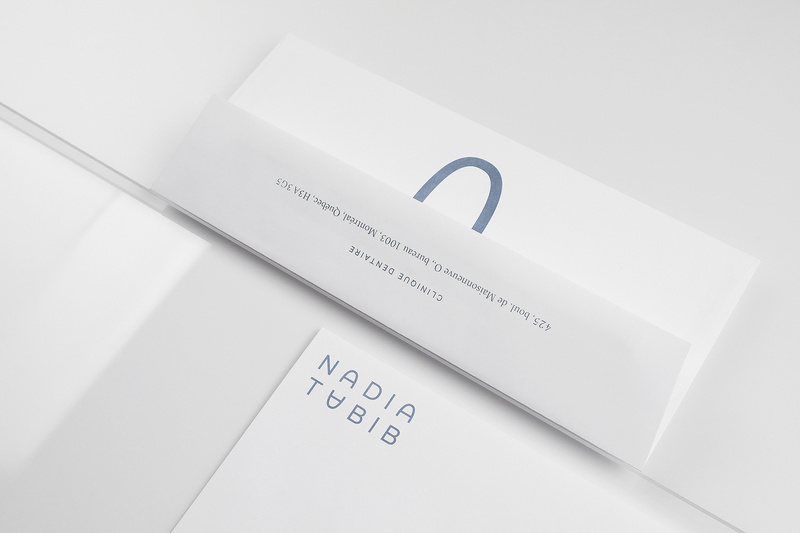 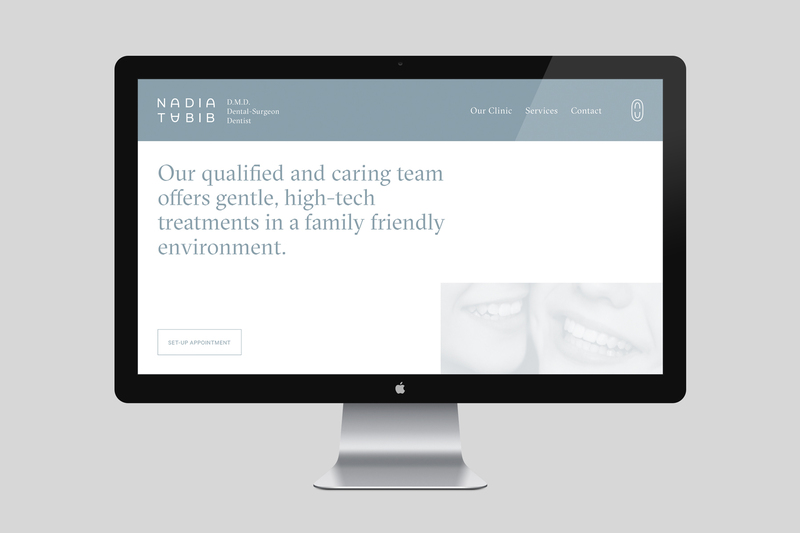 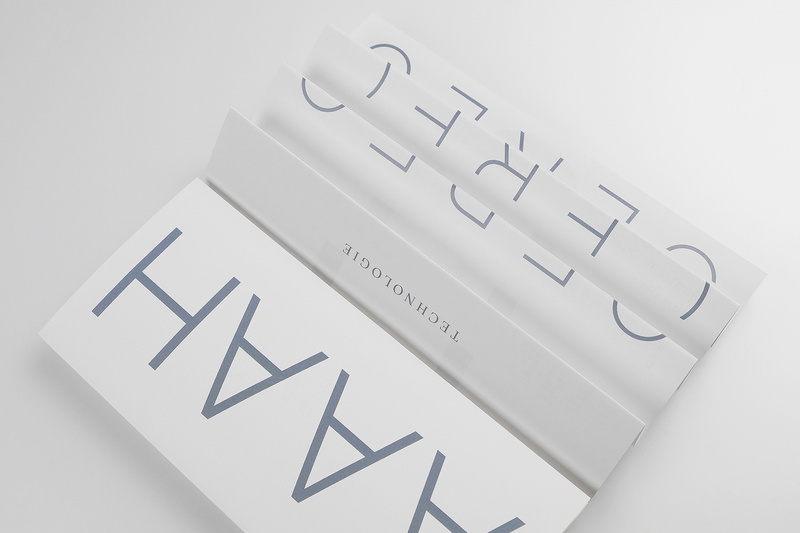 Nadia approached us to redefine her corporate identity, basic communication tools and tone of voice. 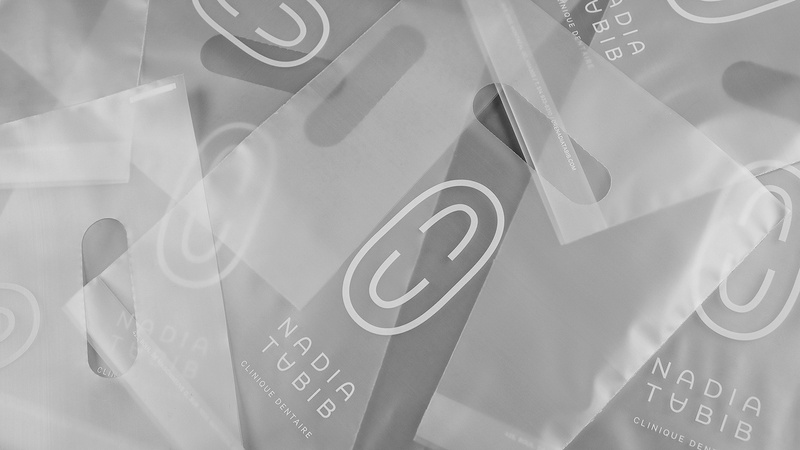 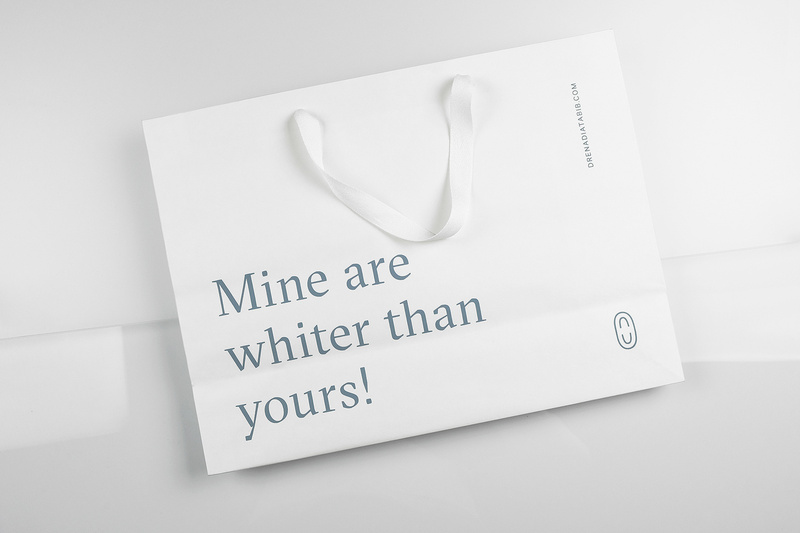 When we first met with Nadia, her liveliness and strong sense of humour jumped at us – we knew from the start that her identity would have to reflect her personality in some way, and not be too "corporate". 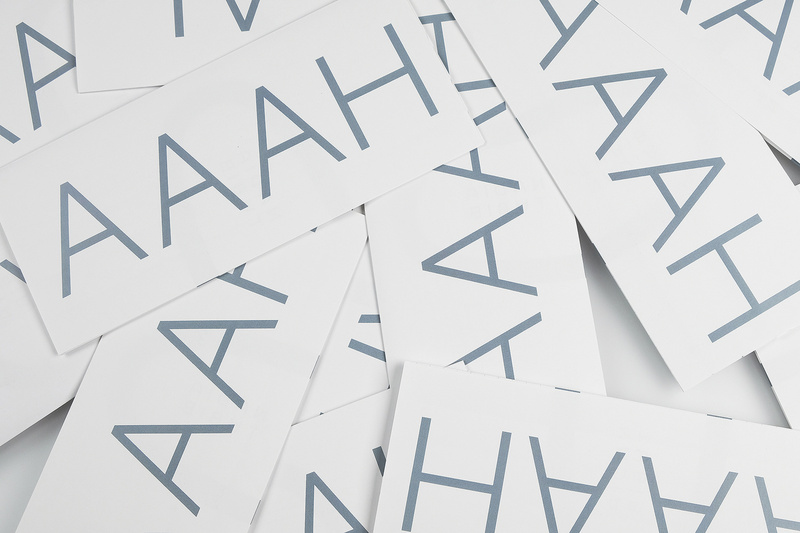 Any dentist who's name contains a jaw symbol must have made the right career choices! 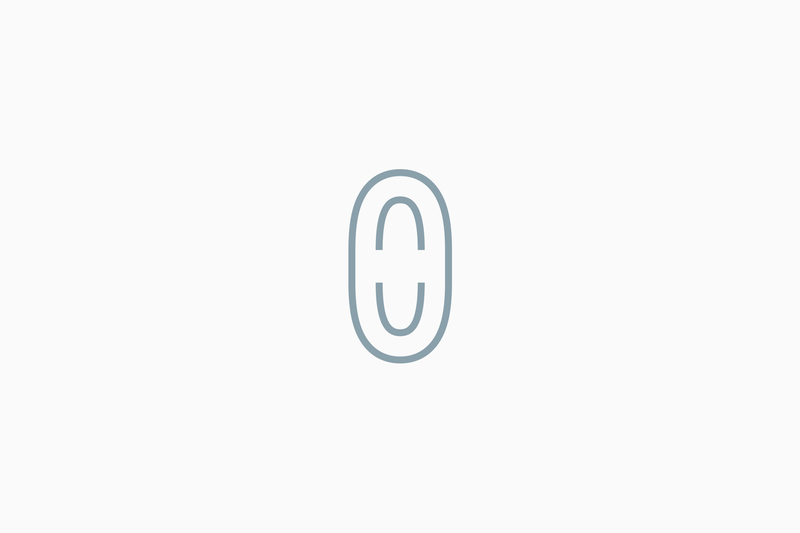 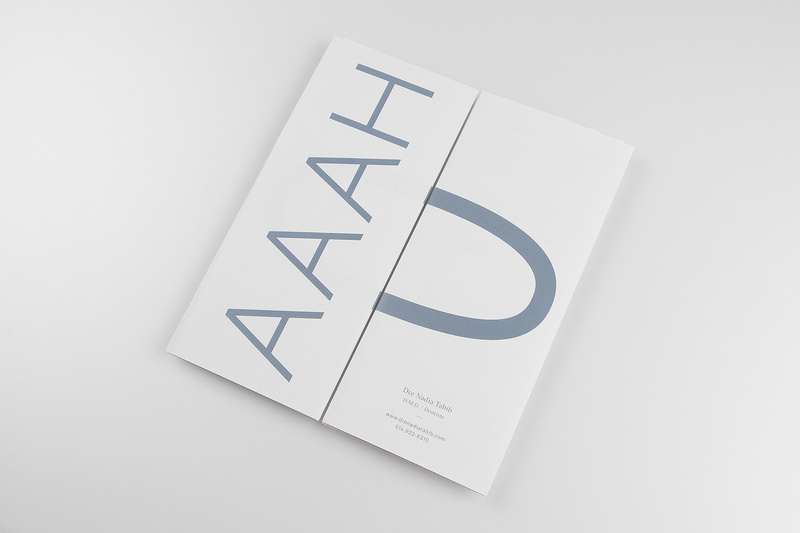 Extracted from the logotype, the double A becomes a recognizable symbol that illustrates the idea of teeth/jaw imprints.